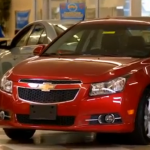 Q: Did the government buy 79 percent of all vehicles sold by General Motors in June? A: No, that viral rumor is false. All fleet customers combined — including rental car companies and state and local governments — accounted for less than one-third of GM’s June sales. Is GM Becoming ‘China Motors’? Q: Is General Motors becoming ‘China Motors’ using taxpayer dollars? A: No. The restructured GM is still based in Detroit and is still one-third owned by the U.S. government. But it sells nearly as many cars in China as in the U.S. and has continued expanding operations there.